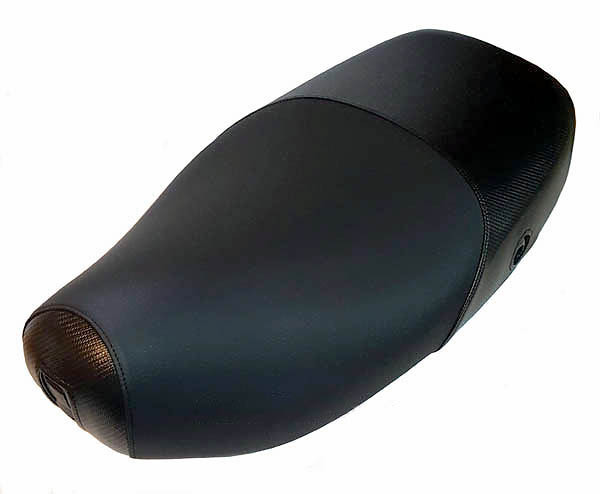 Our classic black seat cover is a great solution for a Vespa LX saddle that is torn, split or has seen better days, but we wanted to offer a more upscale version of our classic black, and this is it! The black carbon fiber seat cover is very sporty and had a great shine to it, for a polished look. However, we also wanted to offer an exciting alternative which is to have the carbon fiber on the front and back, and have the main riding area in our premium matte black. So you can pick! Combo black cover or all black carbon fiber. 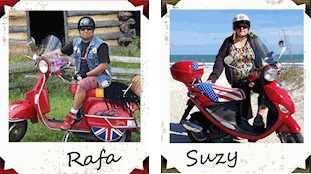 Our superior materials, combined with impeccable tailoring will give your Vespa LX a sharp new look. Marine vinyl is UV stabilized, stain, mildew and abrasion resistant. 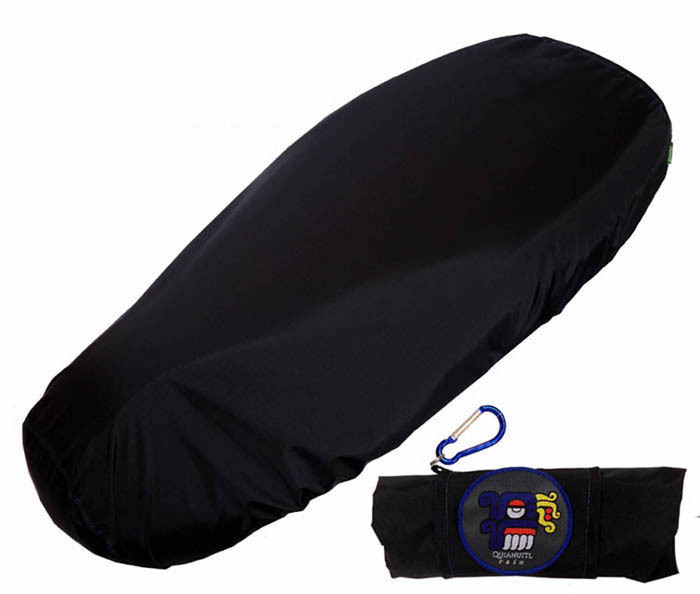 Beautiful as well as practical, this scooter seat cover can withstand any sort of outside condition and is waterproof. 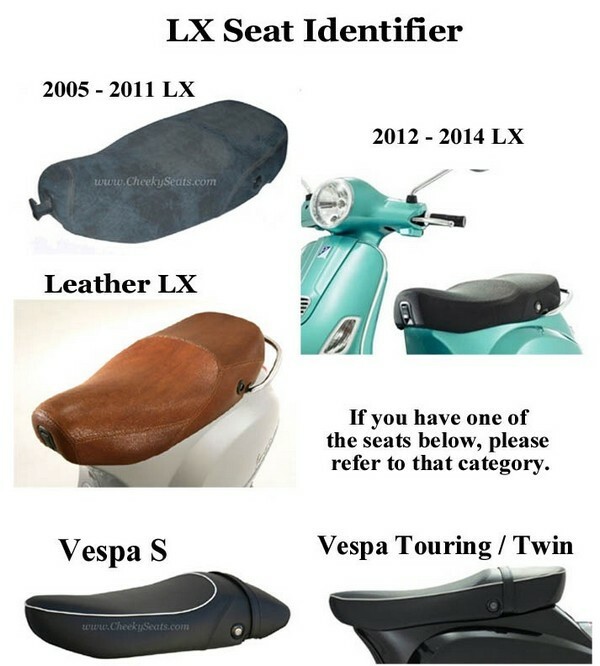 And don't worry, we will tailor openings for your lock and front bag hook, so you will have easy access and full functionality of your seat with the seat cover on.